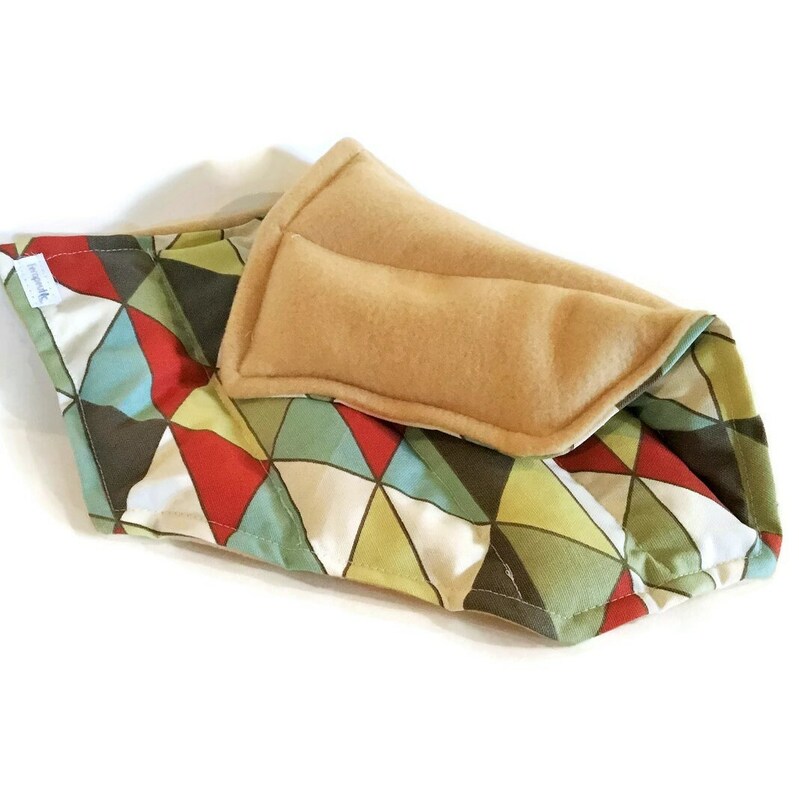 Portable and Reusable Heating Pad is designed for the pelvic area and midsection of the body. 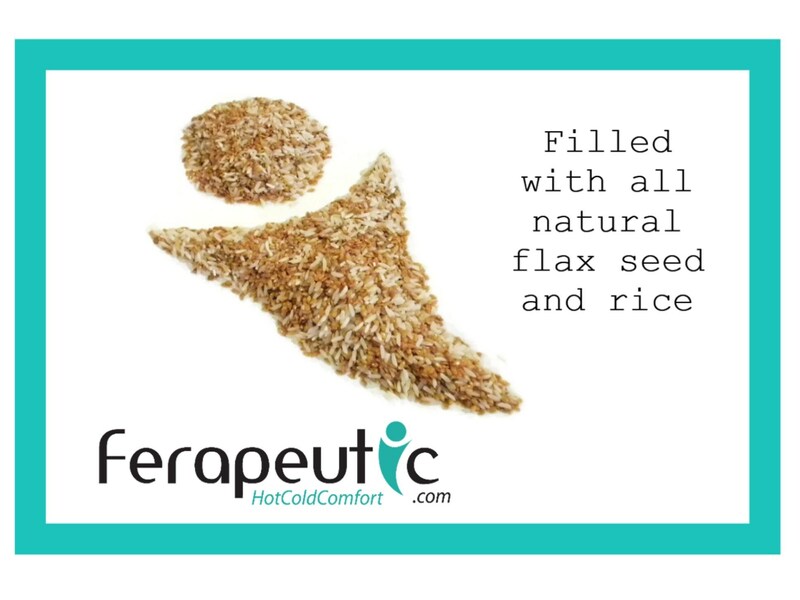 Warmth can bring pain relief for syndromes that cause cramping and pain such as uterine fibroids, UTI, endometriosis, and other inflammatory disease. 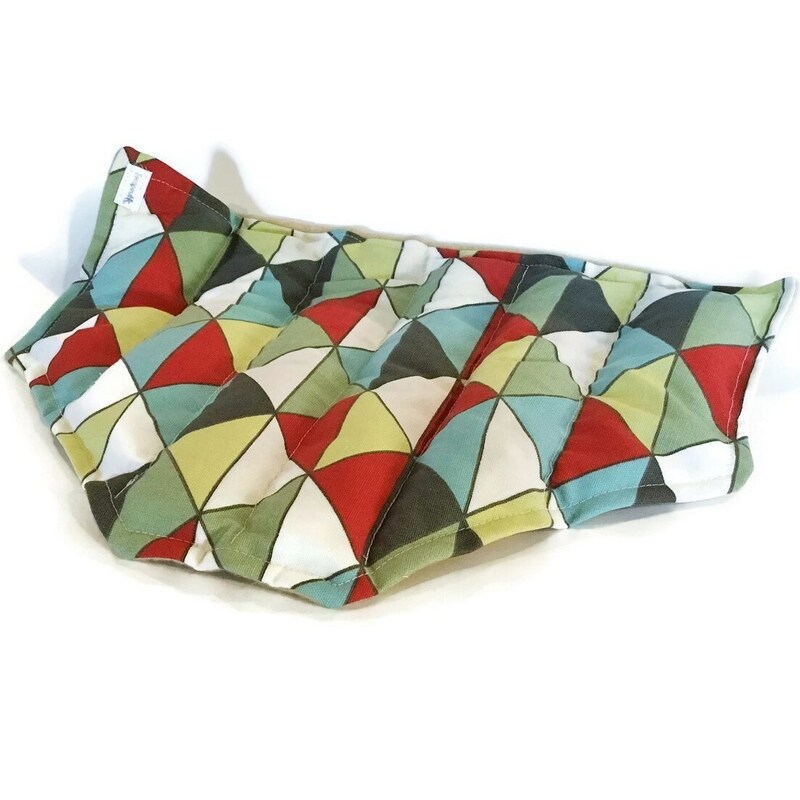 Customers are very pleased with the pelvic and midsection heating pad! "Just what I expected and gave so much pain relief when I had a chronic urinary tract infection. Thank you for the perfect design!" 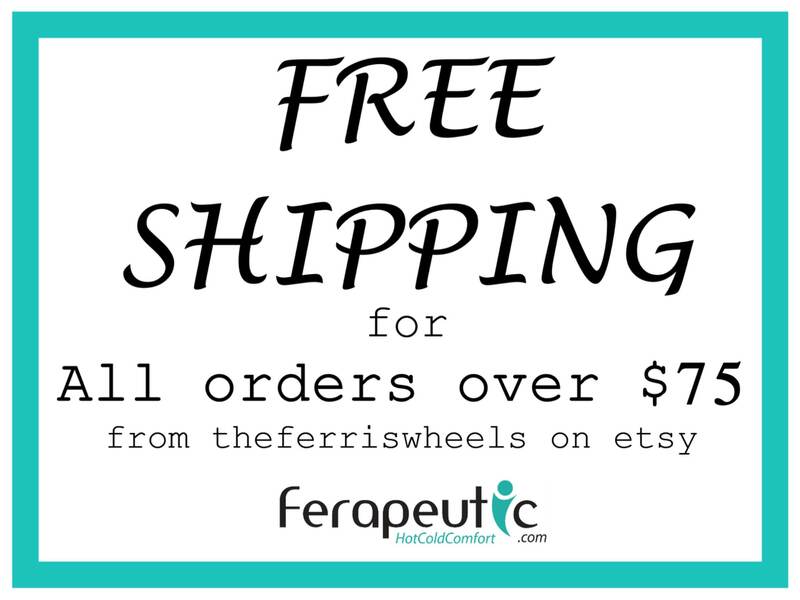 "I love all theferriswheels heating pads and have almost every one. This style is perfect for my endo pain and fibroids. 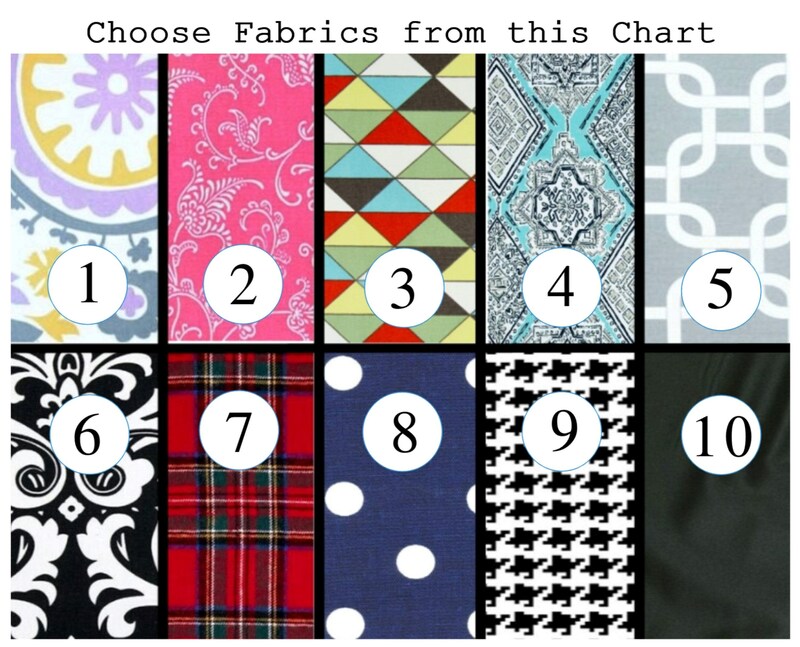 Great quality and quick shipping as always." Hot or Cold Pack measures approximately 14.5" x 11" and sewn with 6 individual channels for even heat or cool distribution. Warm in microwave or chill in the freezer. Detailed directions are included. Hot or Cold pack can be heated in the microwave for long lasting warmth or stored in the freezer to use as a cold pad. 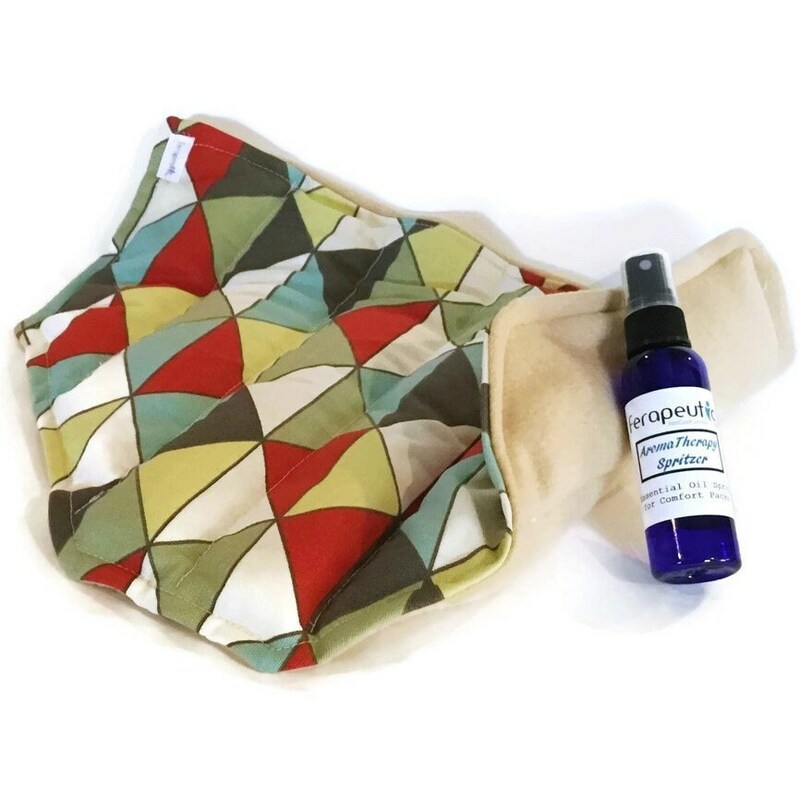 Pelvic / midsection heating pad is offered unscented with the option of purchasing an aromatherapy spritzer to scent and freshen your pack. Only all natural essential oils used in spritzer.